Cyrus Biotechnology offers molecular scientists a cloud-based platform that allows them to design and build protein molecules. The software is based on a protein-modelling platform called Rosetta, which was first conceived and created at the University of Washington, and essentially allows the creation of entirely new types of proteins inside a computer. Cyrus Biotechnology brings this capability to the market with a software package which includes, among other things, a visual representation of proteins as a user constructs them. SEATTLE — Cyrus Biotechnology, Inc., a Seattle-based firm offering access to Rosetta, the most advanced software available for protein modeling and accelerated drug discovery, announced today the general release of a new immune screening and prediction tool in their Cyrus Bench® platform. Cyrus customers can now drastically reduce immunogenicity in pre-clinical candidates, thereby decreasing the chance of dangerous and costly adverse events during clinical trials. Published work has demonstrated the effectiveness of combining this epitope prediction method with the powerful protein design algorithms in Rosetta. Two published examples show positive proof of drastic immunogenicity reduction, both in mice and ex vivo in human test subjects. Cyrus has carried out a third such study with an academic collaborator, which has been experimentally proven in animal models. The details of this study will be published separately. The epitope prediction software is based on the carefully curated set of known MHC-II epitopes in the IEDB database. Those data were used to train a modern Machine Learning algorithm to detect likely new epitopes in proteins of interest. The algorithm was then refined with experimental data to confirm its scientific validity. The immune epitope prediction and protein design algorithms are currently available to existing subscribers to Cyrus Bench® and can be accessed by new customers by subscribing to the Cyrus Bench® suite of tools. Cyrus will introduce a novel, fully automated immune epitope removal software tool in the next few months as another valuable addition to the rapidly expanding capabilities in Cyrus Bench®. It will be the first commercially available software-based method proven to reduce immune liabilities in candidate biologics or already marketed biologics. Cyrus Biotechnology, Inc. is a privately-held biotechnology software company offering protein modeling and design capabilities to the Biopharmaceutical, Chemical, Consumer Products and Synthetic Biology industries. 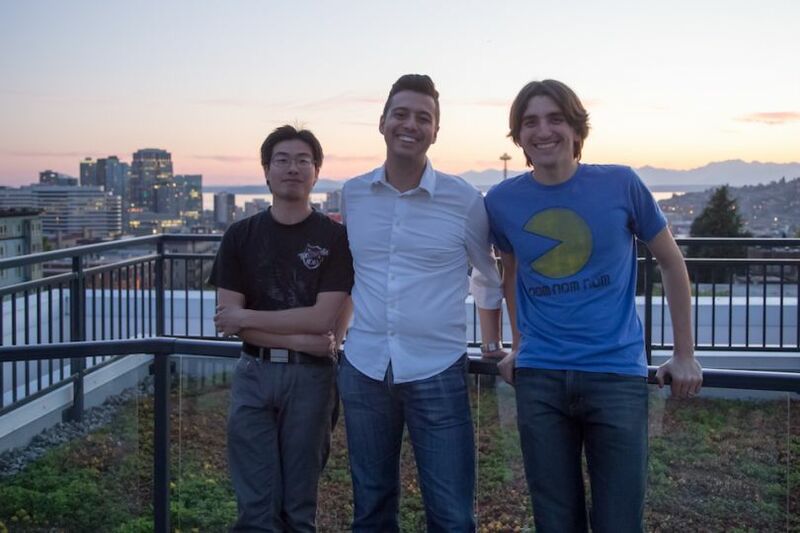 Cyrus was founded in 2014 as a spin-out from the University of Washington, and offers Cyrus Bench®, a Software-as-a-Service (SaaS) platform for protein structure prediction, modeling, stabilization, engineering and design to accelerate discovery of Biologics and Small Molecules. Cyrus Bench is based primarily on the Rosetta software package from Prof. David Baker’s lab at the University of Washington, along with associated software. Cyrus Bench offers the world-leading protein structure prediction pipeline of Rosetta and SparksX, the top structure prediction software in the bi-annual CASP competition and the weekly CAMEO competition, as well as the only protein engineering software experimentally proven to design new proteins completely via software. Cyrus Bench is based on over 15 years of biochemistry software development and over 700 published papers demonstrating experimental efficacy in vitro and in vivo. Cyrus in financed by experienced investors in both Technology and Biotechnology, including Trinity Ventures, Orbimed, Springrock Ventures, Alexandria Real Estate, the W Fund, and others. NOTICE: The information contained in this document is dated as of July 10, 2018. Cyrus Biotechnology, Inc. (the Company) disclaims any obligation to update such information after such date. This document contains forward–looking statements reflecting the Company’s current expectations that necessarily involve risks and uncertainties.Actual results and the timing of events may differ materially from those contained in such forward-looking statements due to a number of factors and the Company undertakes no obligation to revise or update any forward-looking statement to reflect events or circumstances after the issuance of this press release.